Heart of Tuscany surrounded by olive groves and vineyards. 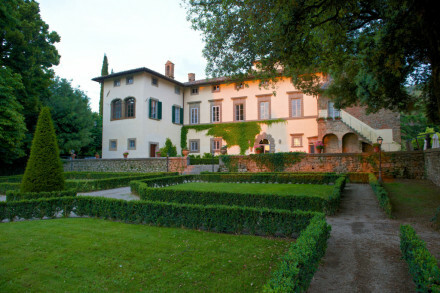 Enjoy one of the 'Cooking under the Tuscan Sun' gourmet cooking courses. Take one of the wine therapy treatments - the grapes, leaves and wine are good for your skin, circulation, & much more. 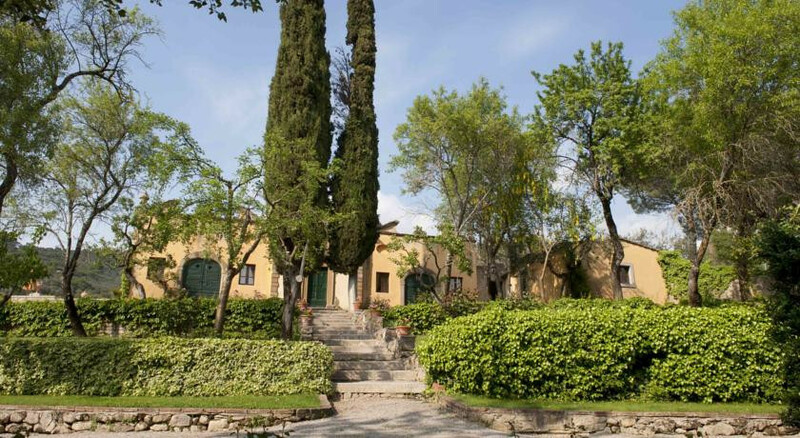 12 hectares of landscaped gardens, vineyards and olive groves. Restaurant holds one Michelin Star. On site cookery school, led by Chef and owner Silvia Baracchi. Catch sunrise from the skies and over the Tuscan countryside. Visit the owners' vineyards, winery and cellar. Take a picnic to Lake Trasimeno and spend a summers day in the water. 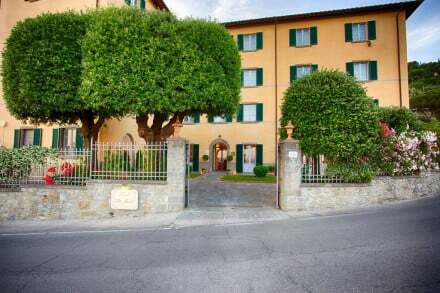 Close to Cortona, which is at the heart of Etruscan history, and also close to the border with Umbria and Lake Trasimeno, Il Falconiere is located in a charming, typical medieval Tuscan town. There are many cultural events held throughout the year, a famous museum, and many little hidden squares and "vicoli" which give the town a charming but mysterious appeal. Il Falconiere Restaurant shines its Michelin Star since 2002. Our Group offers two other restaurants: one in the countryside -Locanda del Molino Bib Gourmand Michelin, plus Bottega Baracchi in the centre of Cortona. We have 22 charming rooms inspired by local artisans; frescoed walls, antique furniture, iron or four-poster beds and woven fabrics combine soft and relaxing colours. Whatever type of holiday you are having, all rooms offer refined simplicity, typical of the most important Tuscan houses and the picturesque view of the landscape of the countryside of Cortona is always at your front door. A special welcome for our VILP – very important little person – including special meals and activities, baby sitting service on request. Extra beds can be provided and are free for children up to the age of 12.